Good morning. 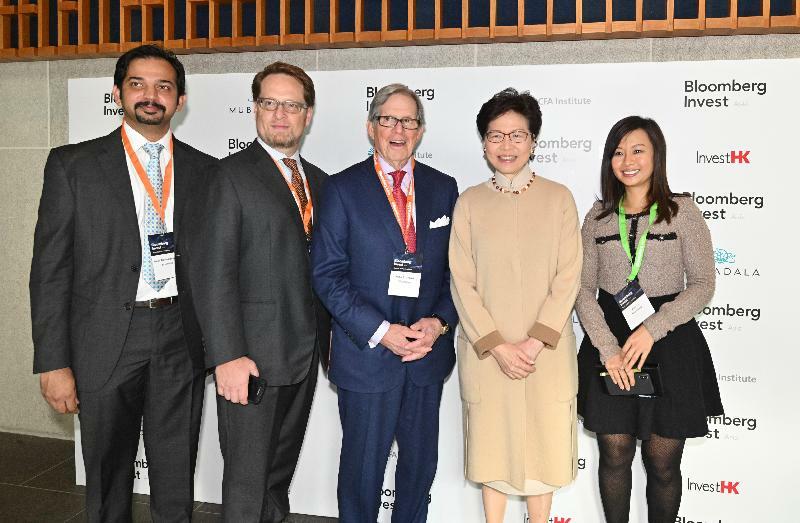 Thank you for inviting me to return to Bloomberg Invest Asia for a second time as the Chief Executive. It is a pleasure to see Peter again after our last encounter on the cold mountains of Davos attending this year's World Economic Forum (WEF). Let me take this opportunity to thank him again for taking part at a breakfast meeting hosted by Hong Kong Exchanges and Clearing (HKEX) during WEF and sharing some of his insights about the world economy. The global economy is inevitably facing considerable uncertainties caused notably by the protracted trade dispute between the United States and China, impasse over Brexit as well as other events. In January, the IMF (International Monetary Fund) revised downward the 2019 global growth forecast to 3.5 per cent. And in OECD (Organisation for Economic Co-operation and Development)'s latest interim economic outlook report published earlier this month, it predicted that the world economy would grow by 3.3 per cent in 2019, a downward adjustment of 0.2 percentage points compared to its last forecast in November 2018. For Hong Kong, we expect our real GDP to expand by 2 to 3 per cent this year, following 3 per cent growth in 2018 and 3.8 per cent growth in 2017. Of course we would love to see a better-than-expected growth, amid the recent encouraging signs that the US-China trade negotiations are heading to an amicable outcome. However, we know that, trade issues aside, there are other deep-seated differences between China and the United States. These will not be easy to resolve, certainly not in the short term. And whether Hong Kong, a Special Administrative Region (SAR) of the People's Republic of China enjoying a high degree of autonomy, will suffer further collateral damage is yet to be seen. We are fully aware of the potential of the emerging Asia and to tap that potential, the Hong Kong SAR Government has to adopt some new roles. Apart from being a public service provider and a regulator, I have required my government bureaux and departments to also perform the role of a facilitator and a promoter. One aspect of work that stands out in the past 20 months under this guidance is the emphasis we put on government-to-government co-operation, and entering into multilateral and bilateral agreements to provide a better operating environment for businesses and professionals. These include a total of five Free Trade Agreements signed or concluded, including one with the 10 member nations of ASEAN (Association of Southeast Asian Nations) and one with Australia. These also include Comprehensive Double Taxation Agreements, Investment Promotion and Protection Agreements, mutual recognition of funds, and expansion in our international network. Just over three weeks ago, I was in Bangkok, and this was my third trip To Bangkok after taking office, for the formal opening of our Economic and Trade Office there, our 13th overseas office and third in ASEAN. That speaks of the importance my Government places on ASEAN. We have plans to set up similar new offices in Dubai, Moscow, Mumbai and Seoul. 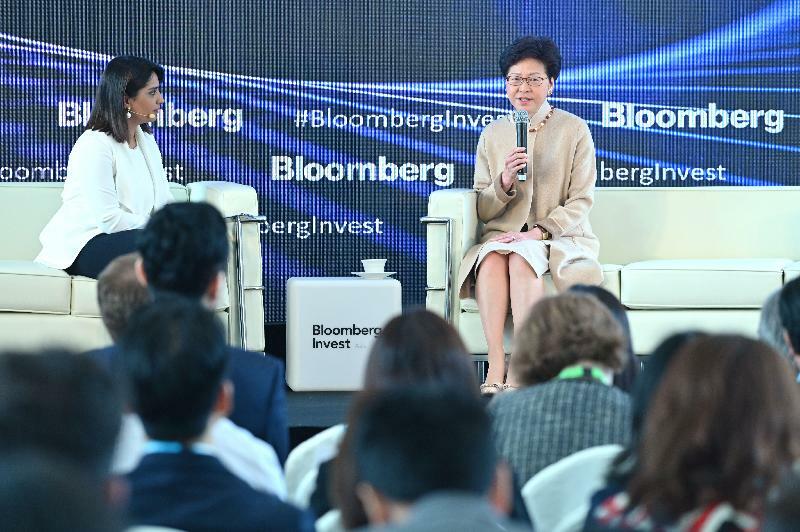 My new fiscal philosophy aims at wisely using our accumulated surpluses to invest for Hong Kong's future and to increase Hong Kong's competitiveness. Since taking office, I have allocated over US$1 billion recurrent expenditure for education and committed some US$13 billion expenditure for innovation and technology. While maintaining a simple tax system, we have rolled out two tax concessions from the current fiscal year, with the introduction of a two-tiered profits tax lowering the tax rate to only 8.25 per cent for the first HK$2 million of profits, and a super tax deduction to incentivise private businesses' investment in research and development. Also starting from April this year, different types of onshore and offshore funds meeting certain conditions will be eligible for profits tax exemption. And the Financial Secretary is studying the case of introducing a more competitive tax environment to attract private equity funds to set up and operate in Hong Kong. Hong Kong's asset management industry was already managing a total asset value of US$3.1 trillion in 2017 but I believe Hong Kong enjoys an unparalleled edge in further developing the asset management business. Ladies and gentlemen, as Peter has suggested, I could continue to speak for hours on the Greater Bay Area development, but I guess it is better for me to stop here to allow some time for the discussion with Mallika. Allow me to conclude by saying that Hong Kong is going to play an important role in the Greater Bay Area development, and I am confident that the development is going to bring enormous opportunities to Hong Kong and all those who choose to partner with us. We welcome you all to join us. 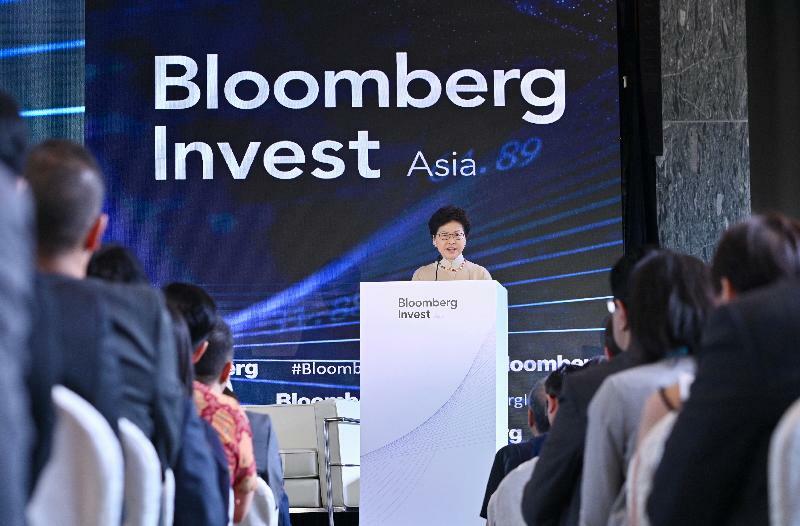 I wish you all the best of business at today's Bloomberg Invest Asia, and throughout this year of challenges and opportunities. Thank you very much.